My portrait photography brings out the soul of each person through the expression in their eyes. My relaxed and natural photographic style will help put you at your ease so it will be an enjoyable experience whilst I create images that will depict your character and will give you the images you will love and cherish. A true portrait should portray the real essence of you. After the initial telephone conversation and booking we will have discussed choices of clothing and location and what you wish to achieve. On the day of the session we will allow some time for you to relax over a coffee or tea where we can further discuss your needs. We will then go to the location for the photographic session. 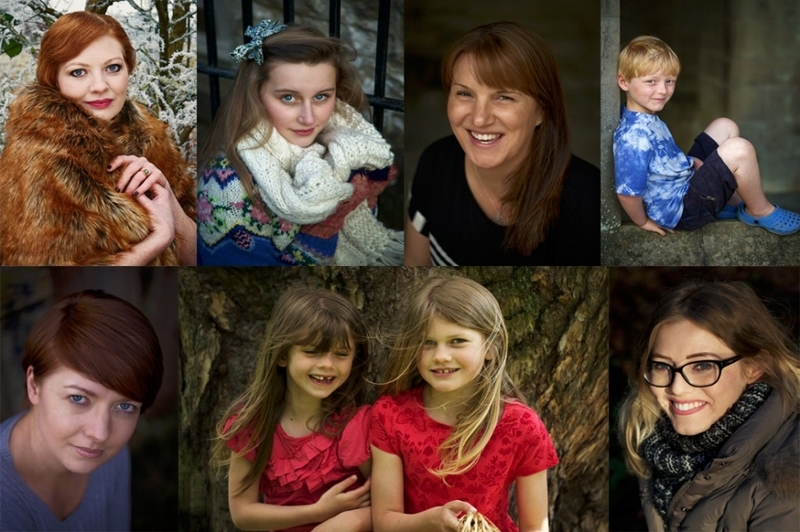 The portrait session fee is £150, which includes £50 credit towards a beautiful album or a selection of wall art product. I have a choice of high quality frames and products to show that will display your images beautifully. The size, type and finish of the frame/finished product are all important aspects to consider with a piece of history that will live with you forever. After the portrait session we can make an appointment for you to view and choose images from a slideshow, and select from a beautiful range of albums, frames and finished products. Usually, clients spend from £500. However, there is no minimum spend since this is a bespoke photographic service. All prices include travel within 50 miles of Cardiff. Payment of the session fee is required at the time of booking.